Singapore is one of the smallest countries in the world, but also one of the Southeast Asia’s most modern and dynamic city. Despite being small, Singapore is a melting pot of different cultures that has the similar ethnic groups and cultural traits as Malaysia. Indeed, Malaysia and Singapore were once merged into a nation, but separated to form a sovereign country on 9 August 1965. So, what really sets Singapore and Malaysia apart? What you should not miss in Singapore is the happening city’s night life from hitting bars and pubs in Clarke Quay to mesmerizing by the cutting edge showpiece of skyscrapers in Marina Bay Sands. Food that you won’t find in Malaysia? i. It contains chopped up noodles that can be easily slurped with a spoon. 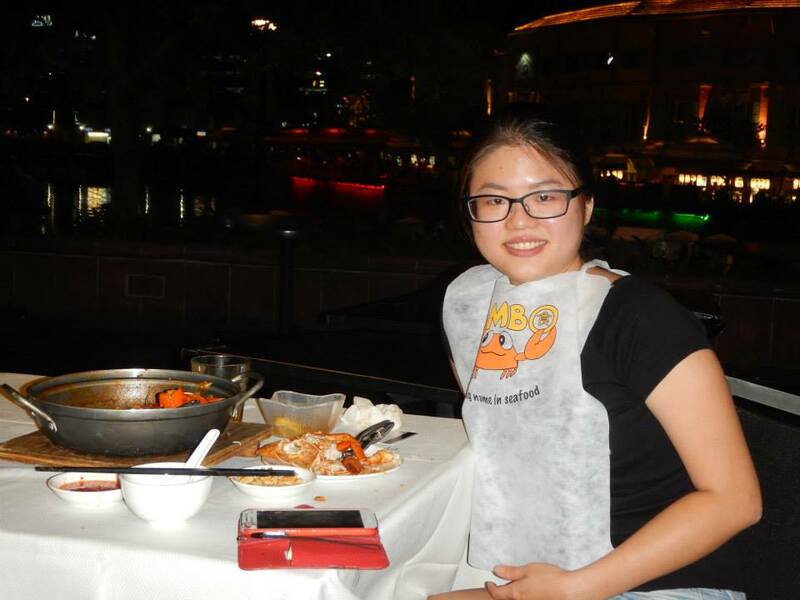 Thus, you might need to expect some of the stalls to serve you with only a spoon without any chopsticks. ii. In terms of taste, it is kinda similar to the “Curry Mee” in Malaysia, as it is flavored with coconut milk and topped with ingredients like cockles and prawns, with the exception that the broth actually tastes subtler and smoother. 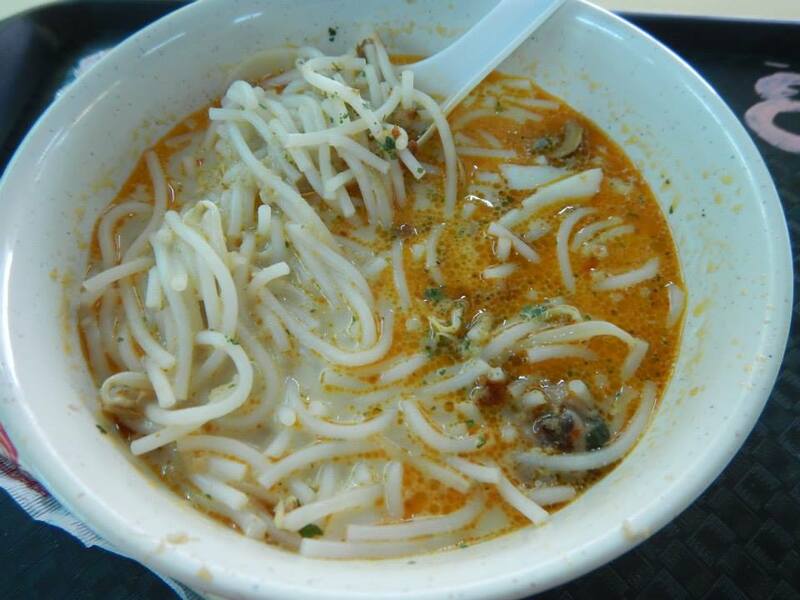 It also comes by another name of “Katong Laksa” as this dish is inspired by the Peranakans who live in the Katong area. 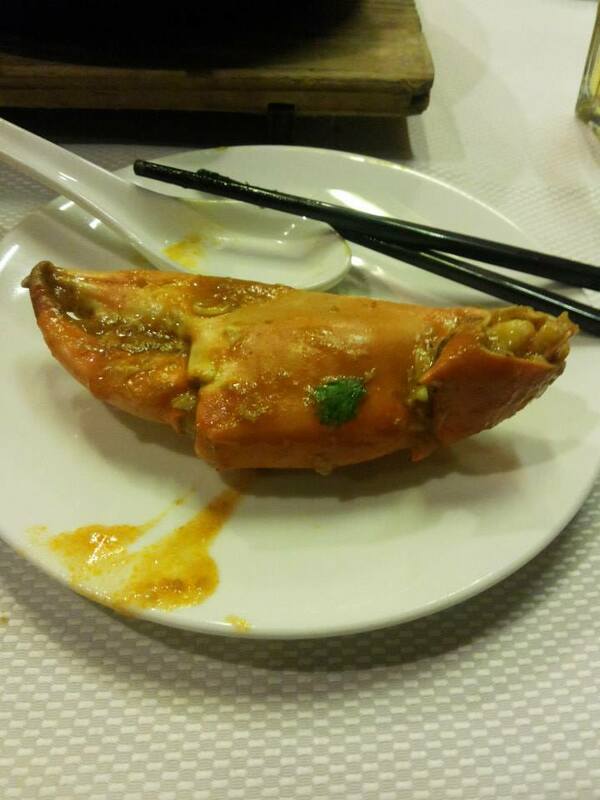 Last night stay in Singapore, I finally decided to try the famous signature dish, “Chilies Crab” at Jumbo Seafood Restaurant. Pricey, I would say, but not regrettable. It costs me about 150 myr for a kilogram of crabs. Look at the size of the claw! Just imagine the satisfaction thatyou will get when you bite on that inches thickness of tender flesh along with the starchy gravy. The only disappointment is that I expect it to be hot and spicy as the name sure does conjure the impression of that. But, it actually served with a hint of sweetness and mild spicing. Don’t worry if you are a messy eater, as they provide you with a cute paper napkin, a washing bowl and some wet tissue papers.